I'm a so sorry I didn't get to putting up a post yesterday. The anticipation of the weekend is slightly less sweet when you know you will be sitting in a BarBri class all day Saturday, but hey, there's always a little fun thrown in there. I rised (rose? rosed?) and shined again today for another early workout. So far, sorta kinda so good. I was lookin' a little more droopy-eyed & bushy-haired this morning, no?! It has been thunder storming the past two mornings here in ChiCity, which instantly sends me into a coma. If I'm being honest, it has taken every ounce of willpower (and knowing that some of you guys are getting up with me!) to rise me from my comforter heaven. Today I did the Summer Shape Up workout from Fintessista again, which includes BOTH burpees & mountain climbers. Can I just say that I'd rather simultaneously get a bikini wax & eat brussel sprouts than do either burpees or mountain climbers?! Holy bageeze. 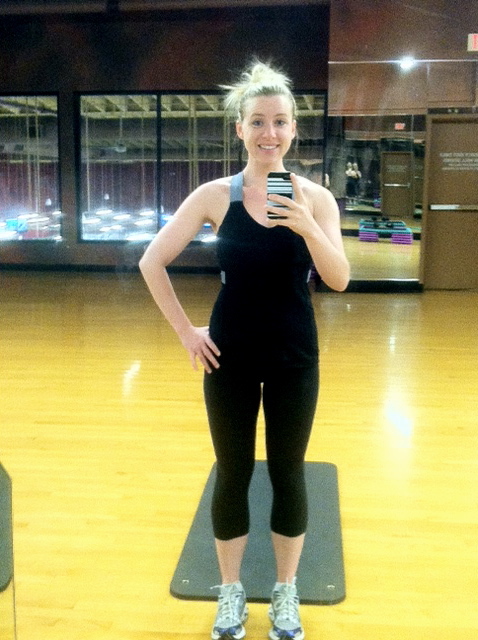 Instead of doing Fitnessista's ab set, I swapped in this ab routine from the Barre Bee Fit YouTube station (yes, there is such a thing, and it is amazing). The owners of BBF, Jillian & Ari, show you how to do the moves for the first 6.5 minutes, then, right at 6:30, they start the whole set (fyi). If you are at all curious about the classes I do not shut up about (I know, I'm sorry! ), you should really really give this 8(ish) minute set a try. It is (don't quote me because I'm only 99% sure) exactly the same ab set we did for at least a week in Barre Burn, and it is top quality. Since I started doing these moves I have honestly seen definition in my abs that I never knew I could even have. Thank you Barre Bee Fit for a 2(ish) 6 pack summer!! 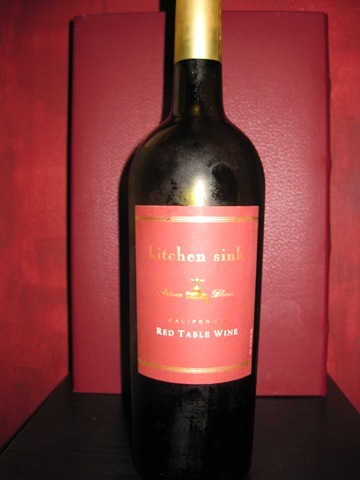 Ok...so now that I have you sold on that, maybe I can sell you on this week's weekend night-in recipe. This week, I decided to tackle a first...making my own spaghetti sauce (or "gravy" as the true Italians and my friend Christina call it!). Mannnnnn. I know, I really should have started this blog. Darn it all! I was always a little intimidated by the idea of making my own spaghetti sauce, but I decided to put on my big girl pants and give it a try! Good thing I did, because this one is a life changer. Your choice --> If you want it meaty, add in 1 lb ground turkey, lean ground beef, or (my choice!) 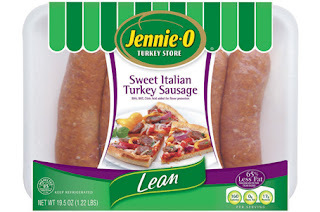 Jennie-O's Lean Sweet Italian Turkey Sausage (removed from the casings, obvi). If you don't want it meaty, you can roll with 1/2 tsp whole anise seeds + 1 tsp whole fennel seeds, to mimic that sausage-y taste! Step #1: Brown up your meat (if you're using any!). Step #2: Throw all of the ingredients listed above + your meat (if any) into your crock pot. Step #3: Cover, and turn the crock pot to low for 8 to 10 hours, or to high for 4 to 5 hours. Step #4: Turn the pot off and let the sauce cool for about 8 to 10 minutes while you make up some pasta of your choice (I went with a whole hheat linguine). Step #5: Serve it up, stir it up, and enjoy! Step #6: If you're sharing this meal with a friend or a lucky significant other, watch him/her clean his/her plate! Extra Tip: If your not carb-a-phobic, you can serve this dish with my easy garlic bread. Extra Extra Tip: You can put your leftover sauce in some Tupperware & freeze it for later dishes, like the pasta with the peppers or chicken parm-a-mazing! I picked this one up @ Whole Foods on a whim, and fell in love. I'm off to take a monster nap, but it's only bye bye for now, because I am hoping to see you guys at least once this weekend. **Something to talk about: Challenge participants -- how is it going?! If you got in a morning workout today, what did you do?? Looks so tasty!! AM workout was a good one today! Swam a little over a mile! And I couldn't agree more about those burpee and mountain climber things! while i was reading this entry, i was thinking, why does this all sound familiar?! and that's because i had that EXACT pasta for dinner last night, and i wanted to cry during the burpees and mountain climbers. hahaha, samesies! GOod for you for getting your early workout in :) I took today as a rest day but hope to get out for a run AND strength training early tomorrow morning. I've been letting my strength training slip!